The small Ontario town is struggling to rebuild its reputation online and hoping a search engine optimization project will help. The internet has a long memory. And if what you're known for is bad, that bad thing will likely dominate your Google search results. 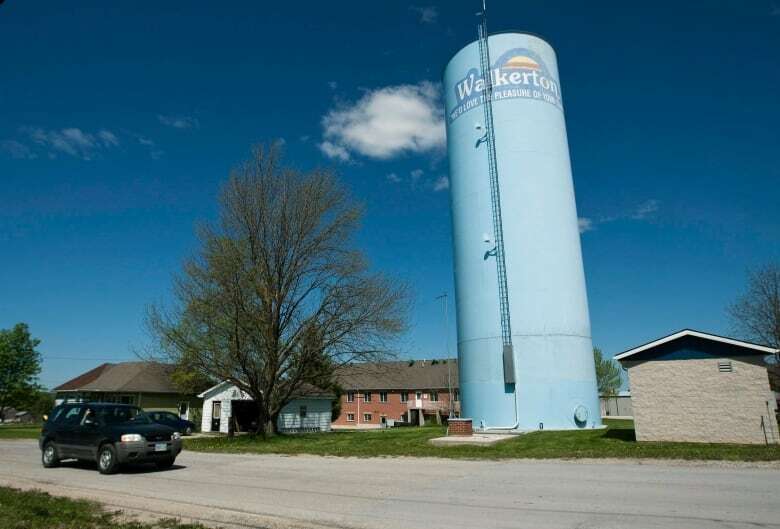 This is a problem for Walkerton, Ont., where seven people died of E. coli in 2000. Now, its looking to tackle it by applying for a provincial grant to launch a search engine optimization project. Dave Inglis is the mayor of Brockton, which is the municipality that encompasses Walkerton. As It Happens host Carol Off spoke to Inglis about how the small Ontario town plans to improve its reputation online while still recognizing the historical importance of the deadly outbreak. Here is part of their conversation. 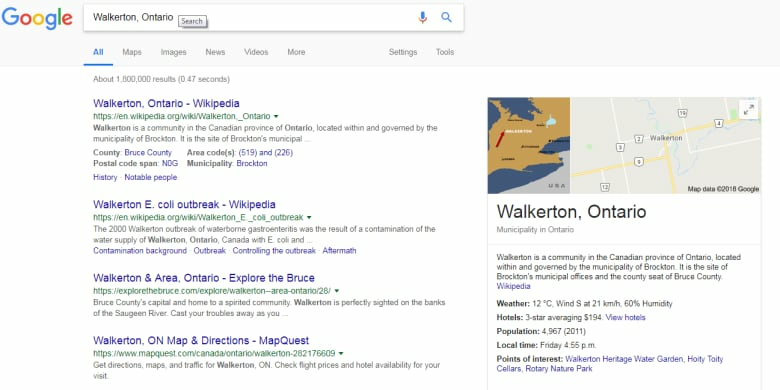 What effect do you think these search results have on Walkerton? It's going to discourage economic development at some point. We've had some cases already where a business or a family have decided that — well, they didn't know anything about Brockton, they didn't know anything about Walkerton, except they knew about the water crisis. And that's the first thing that came up. 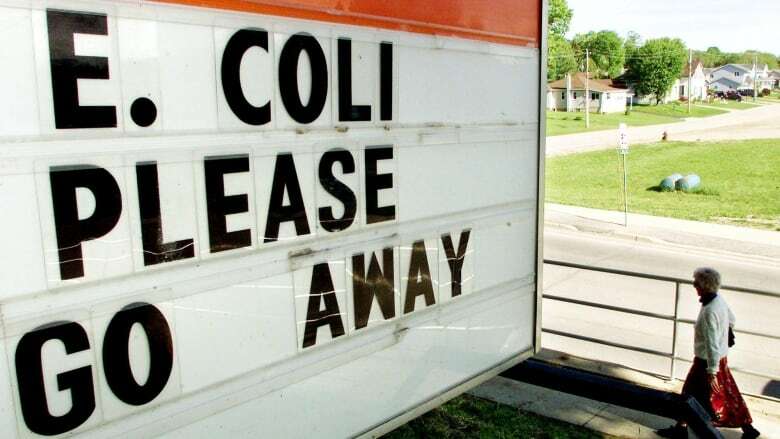 Well, it was Canada's worst ever E. coli contamination, wasn't it? It was, it was. But we're past that and I think our community is past that. We don't want to forget it. It's something that we don't want to bury. It will never go away, that aspect of what happened. 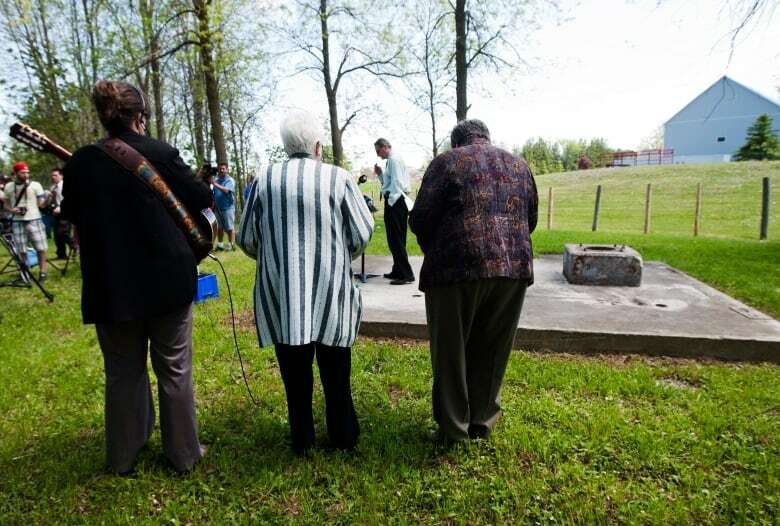 We recognize that and we have done things on those anniversaries that do come up to commemorate and recognize that tragedy as something that no community wants to go through. But we're at the point where we need to move forward and I think everyone would say that. Every community wants to move forward and we think one of the ways for us to do that is to optimize the search engine to bring up the positive aspects of Walkerton, in particular. And so you've applied for a grant through Ontario's Rural Economic Development program. What you're looking for is a search engine optimization project. It will cost you about $70,000. What will that do for you? It brings those positive things to the top and the item that's there now is not so prominent. But isn't that kind of jimmying the system here? What's suppose to happen when you go to a search engine is the most important, or the most relevant results are suppose to come up first. It's not suppose to be what people want to be first. I wouldn't say we're trying to jig the system or anything. We're just trying to be a positive community. I mean, really this is 18 years ago that this happened. So we want to bring out the positive side of our community. I would think that 100 per cent of the community would be behind that, so why wouldn't we try it? Seven people died, hundreds became ill. ... At the same, a public inquiry and an inquest found that the cuts to inspection services had created a terrible situation where water quality was not being regulated. Isn't that a cautionary tale, mayor? Isn't that something that we need the world to always remember, even if it has to be associated with Walkerton? We certainly recognize that and we're not going to forget that. But we also can promote that Walkerton is a centre of water excellence and it has been since the water centre went in. So we're doing great things in providing Canada with the expertise, well-trained water operators — some of the best in the world are coming from the facility in Walkerton. We're not losing the water image one way or the other. We're focusing on the positive side of it and still recognizing the tragedy. This is the aspect that we want to promote — that Walkerton is a water centre. It's an environmental centre where we promote the environment. So we're responsible and this is one way we can do both. We can remember the past, but look forward to the future in the things that we are doing. Written by Imogen Birchard and John McGill. Produced by Imogen Birchard. Q&A has been edited for length and clarity.